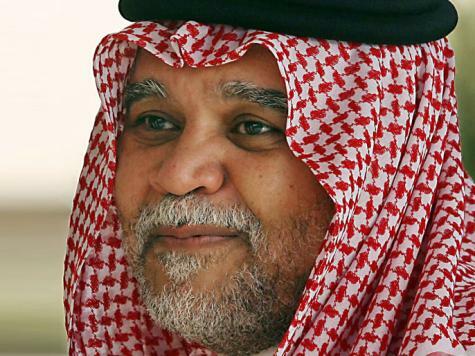 Reports are emerging that the mastermind and Chief of Saudi Arabia’s spy ring, Prince Bandar bin Sultan bin Abdulaziz Al Saud, who was active in the ousting of President Morsi in Egypt is working on plans to carry out a similar plan in Tunisia. The former President of Tunsia, Zine El Abidine Ben Ali, is said to be among those advising him about how to successfully implement the mission in the North African country. Tunisia has been experiencing political crisis for than a month and the coalition government led by Ennahda is under immense pressure to resign immediately. Prince Bandar bin Sultan bin Abdulaziz Al Saud is expected to reproduce the Egyptian scenario where the military took over after a protesters in the streets demanded the departure of the Mohammed Morsi. The latter hailed from the Muslim Brotherhood. Ennahda is also an Islamic party. Since the beginning of the opposition organized protests in Tunisia, the military has been absent from the political scene. Tamarod Tunisia is also collecting signatures to petition the government to resign. Saudi Arabian officials have not commented on the allegations. Saudi Arabia and Israel’s intelligence services played a prominent role in Egypt according to Essam el-Erian, deputy head of Freedom and Justice Party; the political arm of Egypt’s Muslim Brotherhood. They are alleged to have set the stage for the coup d’état against Morsi while the United Arab Emirates provided the financial support. According to sources familiar with the Prince, he is “at once the solution and the problem in his country’s diplomatic crisis.” He has been implicated in several crises in the region. In Syria, he is accused of being a principal supplier of arms and money to the rebels. Written by: Jaber Ali on September 16, 2013. Posted by Jaber Ali on Sep 16 2013. Filed under Gulf News, Headlines. You can follow any responses to this entry through the RSS 2.0. Both comments and pings are currently closed.